For some, sticking with an old air conditioning unit seems sensible. On the surface, it still does its job. The rooms are cooler than outside and the electricity bill seems to stay about the same. No problem, right? Think again. Even if an older cooling unit seems to be in top shape, there are many reasons why it could be wise to upgrade. 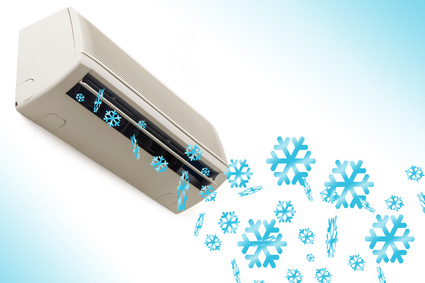 One issue consumers face is the relatively slow breakdown of air conditioner functionality. This makes it difficult to sense a difference in power as it reduces gradually. The same slow degradation correlates to a slow increase on energy bills. Units tend to last a maximum of eight to ten years, so once you’re pushing past the six year mark you may experience changes too subtle to take notice of. Aside from gradual weakening, an important factor of any air conditioning unit is its energy efficiency. New models are more energy efficient, which is great for your monthly budget. When a new unit is drastically more cost-effective than an old one, it practically pays for itself early on in its lifecycle. Another consideration regarding energy efficient air conditioners is the environment. As the world grows more and more eco-conscious we increasingly lean towards being as green as possible. The more energy you use to keep cool, the greater the impact on the environment. A greener air conditioner is the eco-friendly choice when it comes to cooling your home. When it comes to keeping your home cool in the Australian heat, the goal is obvious: comfort. But what good is that comfort if it comes with excessive operating noise? When your goal is a good night’s sleep trading heat for noise simply doesn’t make sense. New units are usually quieter than old ones, as every new release by air conditioning makers needs to improve on prior iterations. That means that over time, new air conditioners are faster, more energy efficient, and quieter than old ones. Ready for an upgrade? Total Electrics And Air-Conditioning can help you refresh your home cooling solutions for lower monthly costs, higher output and more efficient operation. Contact us online or by phone at (03) 9729 0894 today!